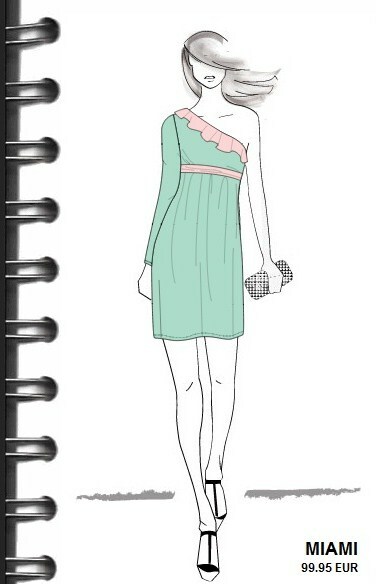 This is the dress created by me with one shoulder in pastel colors! Amate la moda e avete un animo creativo? Non vi resta allora che partecipare a questo contest davvero carino! 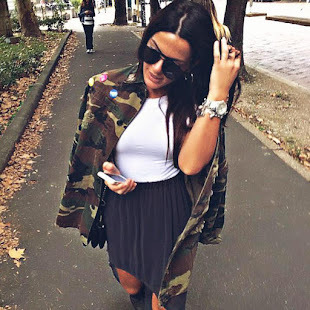 La pagina Fashion Bloggers in collaborazione con UnitedStyles hanno indetto questa "sfida" in cui si chiede di creare il vostro abito, scegliendone il taglio, la stampa, i colori e tanto altro. Ogni giorno uno di questi look verrà premiato con il 30% di sconto, affinchè potrete acquistare il vestito, che avete realizzato; mentre ogni Lunedì verrà scelto un vincitore, che riceverà la sua creazione direttamente a casa senza neanche le spese di spedizione. Create il vostro abito, qui! Do you love fashion and have a creative mind? There remains, then, that participate in this contest really cute! The page Fashion Bloggers in collaboration with UnitedStyles have announced this "challenge" that asks you to create your outfit, selecting cutting,printing, colors and more. Each day one of these looks will berewarded with 30% discount, so you can buy the dress, which you have accomplished, and a winner will be chosen every Monday, who will receive its creation at home without even shipping costs. Create your own dress here! btw I really like ur pastel trend report... they are all so gorgeous! Great idea and I like the one you designed. Seems like a really fun contest ! :) Nice dress. Awesome idea! Yes of course.. following you..! Follow me back! yes, let's follow each other! follow you now! Ma che cosa bellissimaaa!! !1 Lo facciamo subito!!! Can you traslate this post? I don't understand. ...grazie di essere passata dal mio spazio...certo che possiamo seguirci...inizio io...spero ricambierai!!! Thanks four sharing your great idea!! You are very good at design. I´m interested in your blog and I´d like to publish an interview of your work. Hello, love! Thanks for the comment on my blog!! Que buena idea,me encanta,la tuya ha quedado genial. I love the idea!! your design is so cute!!! Such a great dress--love this! that's such a lovely design. the pastel colours are so pretty! I' m happy that you like that! i didn't know you are a designer.